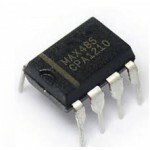 This is a low power RS485 to TTL module based on MAX485 IC. It is basically low power transreceiver module for RS485 communication. There is no need of any external component for connecting this module to the RS485 network. 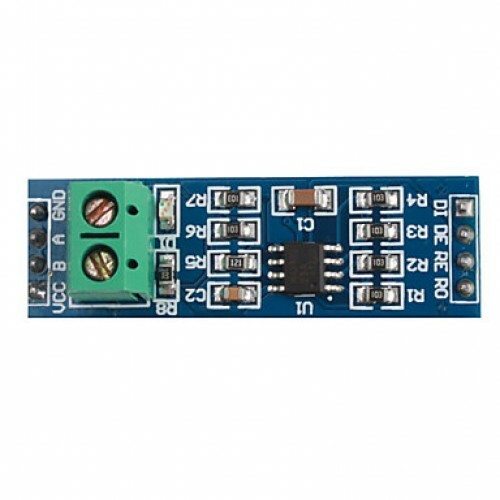 RS485 to TTL module can be directly interfaced to any 5 volt microcontroller without any hassle. 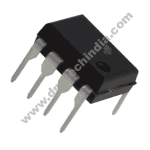 5.08mm (0.2″) pitch, 2-pin terminals for RS-485 easy communication and wiring. Ready for mounting on standard 0.1″ pitch veroboard / perforated boards. works on 5 Volt supply. Multi-drop wired communication System, requiring multiple nodes needing to talk to each other. Checkout the schematic of this Module. DS75176The DS75176 is a high speed differential TRI-STATE® bus/line transceiver designed to meet the..
FT232RL USB TO TTL 5V 3.3V Convertor The FT232RL is a USB to serial UART interface IC with the ..